Dreaming of a holiday on hump day? Cruise through this wrap and imagine yourself floating through the ocean (on a ship, that is). 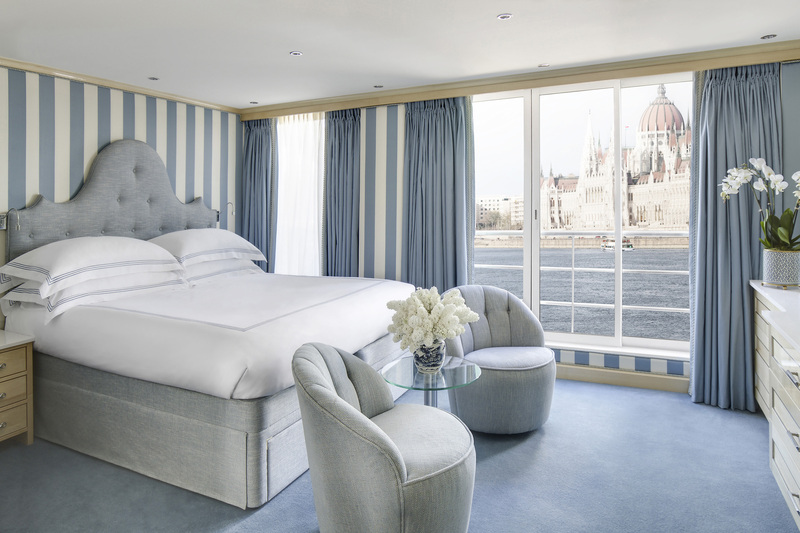 Uniworld Boutique River Cruise Collection is reinforcing its position as the leader in luxury river cruising with the announcement it will introduce four new ships to its award-winning fleet of floating boutique hotels over the next three years. New ships will launch on the Nile in Egypt, the Douro in Portugal and the Mekong in Vietnam in 2020, followed by a new ship on the Volga in Russia in 2021. The new ships will replace existing vessels in each destination and the levels of comfort, luxury and design will be in line with the best of the Uniworld’s custom built Super Ships in Europe, reinforcing the brand’s commitment to having the most luxurious cruise fleet on the world’s rivers. Uniworld also announced today that it will be renovating and upgrading its River Countess vessel, offering guests an unparalleled floating hotel experience in Venice. This announcement follows a number of recent ship transformations undertaken by the luxury cruise line, including the successful launch of the S.S. Joie de Vivre on the Seine in 2017 and Super Ship transformations of the S.S. Beatrice in 2018, and S.S. Bon Voyage which is set to sail in France in spring 2019. 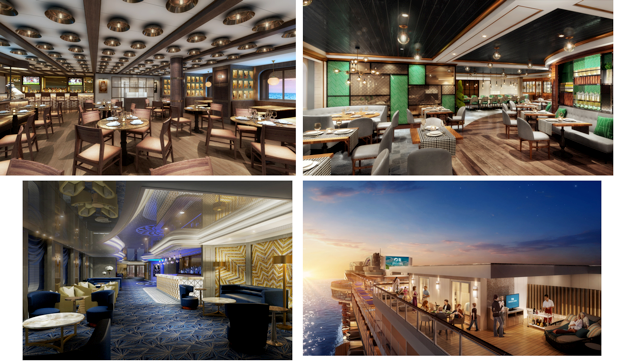 The new floating boutique hotels will feature the signature touches and distinctive themes for which the company’s ships are renowned – more suites, more dining venues and more luxurious finishes. Princess Cruises has announced 2020 will be its biggest European season ever, and is set to see its fifth Royal-class ship Enchanted Princess debut in June 2020 with a series of Mediterranean voyages. As part of its maiden season, Enchanted Princess will sail from Barcelona, Athens and Rome, offering a variety of cruises from seven to 12-nights. In addition, the 2,200-guest Island Princess will spend August to October sailing around Northern Europe while the 3,080 Crown Princess will cruise both Northern and Southern Europe. Meanwhile the 3,660-guest Sky Princess, which launches in 2019, will spend its first European spring and summer season sailing Scandinavia and Russia roundtrip from Copenhagen. From April to September Sky Princess will take in the likes of Stockholm, Oslo, Tallinn, Helsinki, Berlin and an overnight stay in St Petersburg. Closer to home, the cruise line announced 2020 will be its longest Japan season yet – with Diamond Princess set to offer 44 itineraries, travelling to 41 destinations across Japan, Taiwan, South Korea and Russia. The sailings will explore Japan’s natural beauty and rich culture, featuring 10 UNESCO World Heritage Sites, seven local festivals and five spring flower voyages among the highlights. The announcements form part of Princess Cruises’ 2020 programme, which includes sailings across Europe as well as Asia, the Caribbean, Alaska and Canada & New England. The Hong Kong Tourism Board (HKTB) has partnered with eCruising and Royal Caribbean to launch a campaign aiming to lure more of the fly-cruise market to the cosmopolitan city. The campaign, which includes a series of billboards at key railway stations, will run from Monday 29 October for four weeks, and is aimed at educating the growing cruise market on the diverse and culturally rich experiences available when they stopover in Hong Kong either side of their voyage. 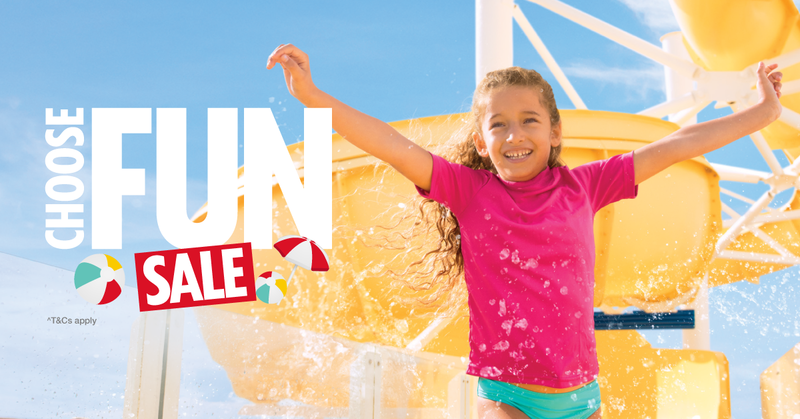 Carnival Cruise Line has extended its Choose Fun sale until 15 November 2018, offering savings of up to AUD $500^ plus discounted deposits of $49 per person†. This promotion is only available to book from today until 15 November 2018 on select Carnival Spirit and Carnival Legend sailings between 14 October 2018 and 18 December 2019. Aussies can take advantage of this amazing deal and cruise to a number of beautiful destinations including New Caledonia, Vanuatu, Fiji and Moreton Island on a selection of sailings departing Sydney and Melbourne. Book now for a ship packed full of fun-tastic memories. Discover tropical treats on island paradises, twists and turns of Carnival WaterWorks and laid back grooves at the Serenity Retreat. 45+ activities a day and 16 bars and lounges. Let the fun times roll. Princess Cruises has announced that when its next new ship, Enchanted Princess, debuts in June 2020, it will be named in Southampton, UK and sail its inaugural season in the Mediterranean. Princess has also unveiled new details revealing innovative features on board the ship. As previously announced for its sister ship Sky Princess, Enchanted Princess will also feature the new Sky Suites, centrally located on the top deck of the ship and featuring the largest private balconies ever offered by Princess Cruises. Measuring 700 square feet, the balconies will provide a private vantage of the ship’s Movies under the Stars screen and create the ultimate space for entertaining. The two suites will also offer a 270-degree panorama and have sleeping capacity for five guests, and more for entertaining – making them ideal for families. Debuting in the Mediterranean in June 2020, the 143,700-ton Enchanted Princess will include the best of the stunning new features found on Sky Princess including a Wakeview pool on its aft decks and relaxing Sanctuary area offering a new contemporary design with more private cabanas than ever before. In addition, Enchanted Princess will offer standout features from its three other sister ships – Royal Princess, Regal Princess and Majestic Princess – including an Italian-inspired Piazza, dramatic over-the-ocean glass, Seawalk and Broadway-caliber shows performed in the Princess Theater. Some exciting new offerings that represent another evolution of the current ships’ designs on Enchanted Princess will be a reimagined Salty Dog Gastropub. The rustic pub space will be an exciting new venue where guests can watch sporting events, gather with friends over drinks and small bites, and partake in the award-winning Ernesto Burger, created by chef partner, Ernesto Uchimura, a founding chef of the original Umami Burger and owner of the new Los Angeles based neighborhood restaurant and bar, Electric Owl. Sabatini’s Italian Trattoria, Princess Cruises acclaimed specialty restaurant, will also be transformed. The space will blend classic Italian accents with the spaciousness of a modern, contemporary setting featuring unique handmade pasta courses developed in collaboration with Los Angeles chef Angelo Auriana that will be prepared fresh daily. The Princess Live! and Café will have a new art deco-style décor where guests can enjoy their favorite drinks and small bites while watching live performances or enjoying an intimate gathering. Crystal River Cruises, the World’s Most Luxurious River Cruise Line, announced the complete deployment for its award-winning fleet in 2021 giving travellers nearly three years in advance to plan luxury holidays along Europe’s rivers. 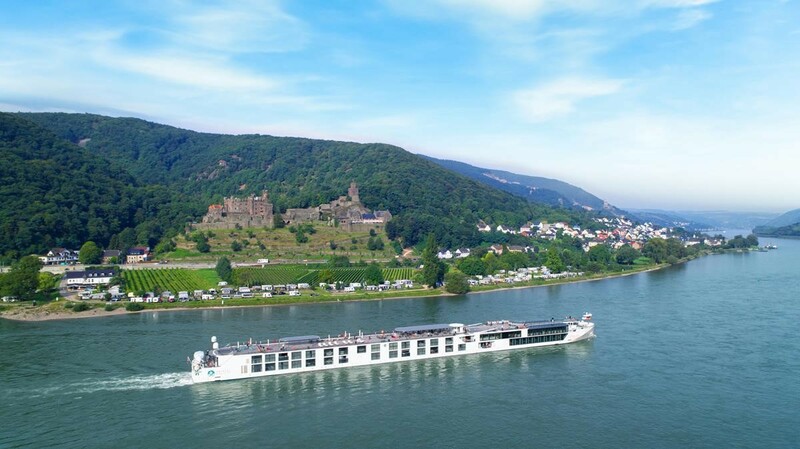 The line’s five luxury river ships – Crystal Mozart and the four identical sister ships Crystal Bach, Crystal Debussy, Crystal Mahler, and Crystal Ravel – will sail the Danube, Rhine, Main and Moselle rivers on itineraries of seven to 16 days. With 45 unique ports of call, dozens of which are designated UNESCO World Heritage Sites, every voyage features at least one overnight stay, many with double and even triple overnights, allowing guests to further immerse themselves in the ports’ charm and history, or venture to nearby towns for broader experiences. Seemingly timeless medieval towns mix beautifully on Crystal River Cruises with modern hubs of culture and commerce. Guests can explore Germany’s oldest town of Trier, Beethoven’s birthplace in Bonn, the famed windmills of Amsterdam, Dusseldorf’s vibrant art and culinary scene and the stunning musical heritage of Vienna. On every voyage, the Crystal River Collection of more than 200 inclusive, curated experiences ashore will enhance the journey for guests with an abundance of options that cater to varied interests. Complementary Signature Events, optional more elaborate excursions and exclusive dining experiences are also on offer.